In 1884 Squire Legette built his Italianate Revival home and office on Main Street in Clio, South Carolina. He served as Justice of the Peace in the early days of Clio history and from the large bay window in his office on the main floor he could see downtown. The home was built of old growth timbers had multiple fireplaces, pine floors and custom woodwork and moldings throughout the 2 story home. By the time the property was offered at auction in 2002 it had only seen 3 owners and was weathered but sturdy with over 1100 square feet of porches and 2 baths added to the original structure. 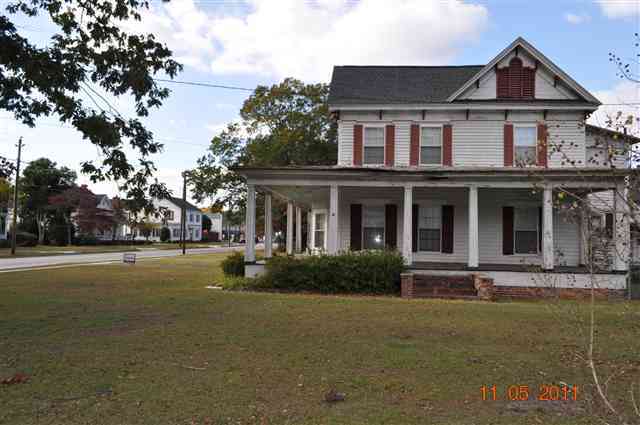 We didn’t have plans to buy a house that day and it sure needed lots of work but that is when we became the proud owners of a piece of South Carolina history and so began our first house flip although we didn’t know it at the time. Buying any home brings with it responsibilities but when you buy a historic property that needs renovations priorities become much different especially one that is part of a National Register Historic District. For months we studied the house and the things that needed to change and researched our options and learned we could take advantage of tax credits for rehabilitation through the SC Historic Preservation Office. While we didn’t take that route it was eligible for tax credits offered in South Carolina as new electrical was top on the list after installing a new roof. 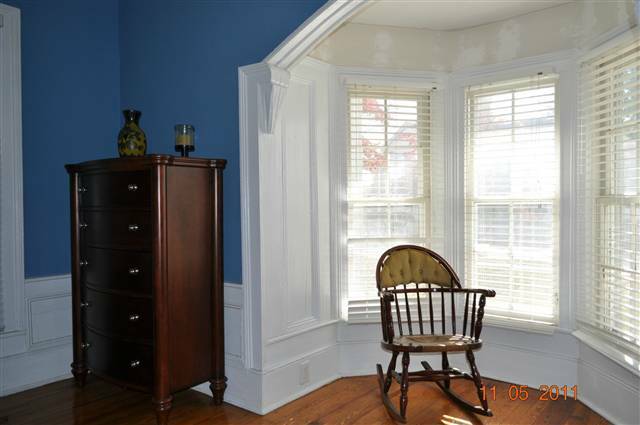 Countless hours were spent refinishing floors, reglazing depression glass windows and patching and painting horse hair plaster walls not to mention installing new kitchen & fixtures in the home. After all we had a new roof and the exterior could wait and wait it did. With most of the major interior work completed we moved into the house and enjoyed many years living at 118 South Main in Clio continuing to love, enjoy and improve on our new home. As life went on and our priorities changed to opening a real estate office in my hometown of Murrells Inlet we had to make the difficult decision of selling the property. Not that we didn’t want to keep the home we had put so much time and attention into but after the first tenant moved out we knew it needed to find new owners who would love and care for it as much as we did. We didn’t buy the home with the intent to flip it and many people don’t which is why some people invest so much in personal resources that likely won’t ever be returned when they sell. Sometimes this is the hardest part of home ownership for home sellers to understand but as a seasoned real estate professional I can tell you it is a market reality. Winning the bid at the auction that day in 2002 was the beginning of our ownership of a historic property and this week a new owner takes over the home we loved so much. For us losing money on selling is not so difficult when you know you are doing so to protect a treasure and that allowing it to sit empty for much longer would cause more harm than good. Just knowing that the new owners appreciate old homes and have their own plans to improve it somehow deminishes the financial blow of selling at a loss and that is why we priced it to sell in the first place. The new owners might not appreciate all the blood, sweat and tears we put in at 118 South Main but just maybe they will enjoy and improve it as much as we did during our ownership as sometimes the rewards of owning a historic property or any property for that matter is not always measured in dollars and cents.